NEW YORK (TheStreet) -- Bernard Madoff is back in the news, but the $1.4 billion Scott Rothstein Ponzi scheme sheds plenty of light onto the thought process of otherwise sophisticated investors as they get swindled. With JPMorgan Chase (JPM - Get Report) about to cough up over $2 billion for its role in enabling Madoff to run a long-term Ponzi scheme through his asset management business, this is a good time for investors to consider how they make their investment decisions, and whether or not it is possible for them to be approached by someone seeking to sell them bad paper. Madoff's Ponzi scheme went on for 20 years, as he promised and delivered consistent returns to his asset management clients. These annual returns were in the low double digits -- high enough to please the investors, but low enough for the Ponzi scheme to survive, as long as Madoff brought in new clients. There were relatively early signs that Madoff's asset management skills were too good to be true, including the submission of evidence to the Securities and Exchange Commission by Harry Markopolos, a financial analyst. But Madoff had little difficulty in skating by multiple SEC investigations and continuing to operate his scheme until the financial crisis caused clients to request redemptions in such great amounts that the Ponzi scheme collapsed. Madoff pleaded guilty to numerous federal charges and was sentenced to cool off for 150 years in prison. He hasn't cooperated with the government. Rothstein's Ponzi scheme was different from Madoff's scheme in many respects. For starters, Rothstein was the lead partner in Rothstein Rosenfeldt Adler (RRA), a Fort Lauderdale, Fla., law firm. 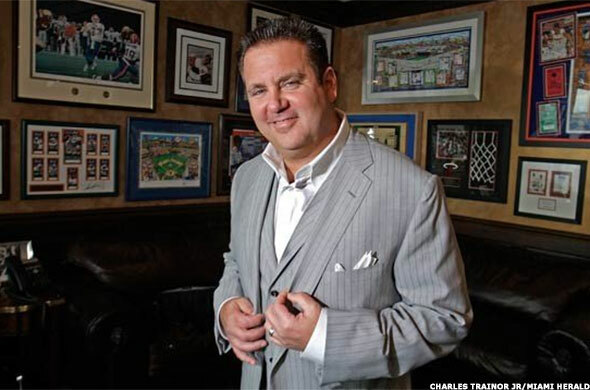 For roughly five years, through October 2009, Rothstein cultivated a colorful, even outrageous, "new money" persona, making huge donations to various local charities, expanding his law firm to such a degree that lawyers with competing firms couldn't understand how RRA could afford the expenses, and showing as much flash as possible by wearing expensive suits, amassing a collection of expensive cars and showing up to many high-profile local events. Through his largesse, Rothstein made many "friends" among local politicians, law enforcement, and even former Florida governor Charles Crist. Such a high profile, as described in great detail in the fascinating book, The Ultimate Ponzi, by Chuck Malkus, served Rothstein well in attracting clients to his investment scheme, which involved the sale of investments that didn't really exist. There were plenty of news reports saying Rothstein was selling "structured settlements" to investors. He wasn't. Investments in structured settlements are legitimate investments, where the investor buys the settlement -- for example, an insurance annuity paying out over 20 years -- at a discount, so the seller can get most of their cash immediately. The investor buys the settlement at a discount sufficient enough to make the deal worthwhile, resulting in a winning scenario for both parties. What Rothstein was doing was offering investors the opportunity to "prefund" litigation settlements at a discount. Rothstein specialized in employment litigation. If an employer was ready to settle a lawsuit by an employee alleging discrimination or abuse for, say, $3.5 million, Rothstein would offer to pay the plaintiff $3 million, funded by the investor. Once the settlement was made, there would be an instant $500,000 profit. One major part of the scheme was that most the lawsuits in question didn't actually exist. There were few real settlements coming. Supposedly, Scott would approach a corporation or a rich individual with a potentially embarrassing allegation of gender discrimination, sexual harassment or worse, and negotiate a big settlement in exchange for keeping quiet. Sounds a lot like blackmail, doesn't it? More than one investor thought so too, and in some cases it made them less eager to sign. But enough investors did sign to keep Rothstein's Ponzi scheme floating for years. Looking back, Malkus -- a public relations executive who lives in Fort Lauderdale and knows many of the people who did business with Rothstein -- says "You almost would have had to personally have witnessed the way that Scott Rothstein became an overnight philanthropist, ran one of the allegedly most successful law firms in Florida, and at the same time you never heard of a major case being won, or the firm having a large client. There were many pieces of the puzzle that you couldn't figure out until it all came crashing down." So the first warning to investors is that a person painting a "rags to riches" success story was selling unusual investments, while cultivating a flashy image to build credibility. The second warning to investors is that Rothstein would target "close friends" and their families in his schemes, as well as targeting hedge funds. Unfortunately, the defendant had, according to Scott, moved the money offshore, and Morse had to post a bond for two and a half times the judgment -- $57 million -- before the money could be returned to the United States. In fact, Rothstein had lost the case, and accepted a settlement that obliged Morse to pay $500,000 to the interior designer. Too fool his client into wiring him the $57 million, Scott fabricated court orders and forged the signatures of two judges. According to Malkus, Rothstein considered Ted Morse -- Ed Morse's son -- to be his "best friend." Among the elements of Rothstein's fraud against Ed Morse were fake court orders requiring "confidentiality," which "kept the Morses silent even after they started develop suspicions," according to Malkus. The third warning to investors is to verify accounts on your own. Rothstein hired two computer programmers to develop a fake TD Bank (TD - Get Report) Web site, that he could use to show clients and investors escrow accounts at the bank, using whatever data Rothstein desired. An investor might have gone to a TD Bank branch instead, and requested his or her own statement. Rothstein victimized people who had been quite successful in their own careers, obviously having plenty of intelligence and sophistication. But according to Malkus, the victims "couldn't be happy with being successful in business. They had to shoot for the stars and try to take things to another level. It is over-the-top behavior that is seen rarely." There were plenty of signs for the banks doing business with Rothstein that all wasn't well with him and RAA, including multiple overdraws of various transaction accounts, in very large amounts. TD Bank in September agreed to settle for $37.5 million the Office of the Comptroller of the Currency's charges that it failed to file suspicious activity reports. "The failures to file SARs were significant and egregious for a number of reasons, including the number of alerts generated by these accounts and the volume and velocity of funds that flowed through them. The Bank ultimately provided more than $600 million in restitution to investors impacted by Rothstein's Ponzi scheme," the OCC said. Also in September, TD Bank agreed to pay the Securities and Exchange Commission $15 million to settle fraud charges. "TD Bank and its then-regional vice president Frank A. Spinosa defrauded investors by producing a series of misleading documents and making false statements about accounts that Rothstein held at the bank and used to perpetuate his scheme. Spinosa falsely represented to several investors that TD Bank had restricted the movement of the funds in these accounts when, in fact, Rothstein could transfer investor money however he desired. Spinosa also orally assured investors that certain accounts held balances totaling millions of dollars, but each account actually held zero to $100," the SEC said. A jury ruled against TD Bank in July after the bank was sued in federal court by a group of Texas investors known as the Coquina Group. The investors were awarded $32 million in damages, plus $35 million in punitive damages, for a total of $67 million. That decision is being appealed by TD Bank. Gibraltar Private Bank & Trust of Coral Gables, Fla., also did business with RRA, and agreed in February 2012 to pay $10 million to a group of Rothstein investors, and in August 2012 agreed to pay $15 million to the trustee for the bankrupt RRA. Gibraltar in October 2010 entered into a cease and desist order with the Office of Thrift Supervision, which regulated the bank before it was folded into the Office of the Comptroller of the Currency. While the order didn't mention RRA or Rothstein, the bank was ordered to improve its Bank Secrecy Act and Anti-Money Laundering compliance programs. Hedge funds were included among Rothstein's victims, illustrating just how "sophisticated" some of the investors were. But many Ponzi schemes collapsed in the wake of the bursting of the credit bubble in 2008 and it may be getting harder for hedge funds to get in line and recover some of their money. Jordan Maglich -- an associate at Wiand Guerra King, who also runs the Ponzitracker website, says hedge funds may not be able to continue grouping themselves with "ordinary" victims of Ponzi Schemes. Wiand Guerra King represents the receiver for the bankrupt Arthur Nadel, "a former hedge fund manager in Sarasota that duped investors out of $160 million," according to Maglich. In August, "a federal district judge in the Middle District of Florida ruled that the submission of an incomplete proof of claim, as well as the failure to spot the 'many red flags' surrounding the investment, could serve as the basis for denying the claim of a Swiss investment entity. The decision could potentially have widespread ramifications in the niche area of Ponzi scheme litigation, especially in schemes involving a large amount of institutional investors," Maglich wrote at that time. "[T]there were so many red flags an institutional investor would have caught if they had conducted any due diligence that would be typical in that situation," Maglich says. "Ponzi schemes are a laggard to economic activity," Maglich says. "When the economy gets worse, you have people asking for redemptions. The unraveling in 2009 and 2010 was unrivaled in history." With the great strengthening of regulations, and the regulators, over the years following the financial crisis, Maglich thinks it's unlikely for any new Ponzi schemes rivaling the Madoff or Rothstein schemes to come along. But "you are seeing smaller schemes crop up that are more localized or regionalized," he says. ""The problem is, as technology advances, there are more opportunities to exploit people, and new cutting-edge technologies such as Bitcoin can be misused," Maglich adds"
Will It Be Easier To Get A Mortgage In 2014? Bitcoin Trading: Wall Street's Next Big Thing? -- Written by Philip van Doorn in Jupiter, Fla.
Philip W. van Doorn is a member of TheStreet's banking and finance team, commenting on industry and regulatory trends. He previously served as the senior analyst for TheStreet.com Ratings, responsible for assigning financial strength ratings to banks and savings and loan institutions. Mr. van Doorn previously served as a loan operations officer at Riverside National Bank in Fort Pierce, Fla., and as a credit analyst at the Federal Home Loan Bank of New York, where he monitored banks in New York, New Jersey and Puerto Rico. Mr. van Doorn has additional experience in the mutual fund and computer software industries. He holds a bachelor of science in business administration from Long Island University.